The children care product for the skin is a market with great potential. Frog Prince, Yumeijing, Haiermian, Mentholatum, and Johnson & Johnson are major players in the market for children. According to statistics, Johnson & Johnson takes 70-80% of toiletries for children and skin care products in the Chinese market. The remaining 20% are divided between dozens of foreign brands high-end as well as local child care brands. The retail concept of one-stop supermarket or cosmetic drew attention, with the coming into play of new players such as Watson, Sephora in France and Sasa. In general, the honey market in China is developing steadily. The number of swarms reached 7.8 million in 1988, and the decade after that is an adjustment period. In 2015, this number reached the 10 million. The production value of beekeeping was about 4 billion RMB in 2011. The honey yield was about 500 thousand tons in 2015. Besides, the market has an increasingly strong power of manufacturing and exportation. The new standards of manufacturing and systems appeared gradually in 2005, 2009 and 2011, indicating the process of standardization. On the exportation side, more and more companies export their honey to other countries, the number of the sales reached 125 thousand tons in 2013. It occupied 26.88% of the whole yields in China. Meanwhile, Chinese companies have been pursuing innovation. For example, the honey company Guanshengyuan makes a powder version of honey for its better storage and transportation. Another one Wang’s honey company introduces the foreign honey as their new product to attract the consumers. The rapid economic growth China has led to the rapid urbanization and changes in beverage consumption. more and more consumers in large cities, are turning to wine with rising incomes. Favorite Chinese liquor is baijiu, distilled liquor with a high alcohol percentage. among the trademarks of Baijiu was; Fenjiu, Erguotou, Wuliangye, Jiugui, Daqu, Maotai, and Red Star to name a few. There are 12 different flavors used to distinguish different types of baijiu. Maotai is a drink from the province of Maotai, Guizhou. this is one of the best-known brands of Chinese liquor (or baijiu). Moutai: is the best of China’s liquor brand and taken as China’s national spirit. Its history dates to the Han Dynasty. it is in China Guizhou Moutai Distiller Co Ltd.
Maotai is known as the National Liquor. furthermore, the most expensive bottle in China was one of Five Star Maota, was made in 1955 and which cost environs 1,26 million RMB. Maotai offers soy sauce fragrance, which is exceptionally pure, soft and fluffy. Maotai, one of the Chinese luxury alcohol producers, recorded a net profit increase of 3.6% in 2013. This is the lowest growth since the company’s listing on the Shanghai Stock Exchange in 2001. Made in Yibin, Sichuan Province, Wuliangye is another great brand of premium Chinese spirits is like Maotai. Wuliangye is made with rice, sorghum, glutinous rice, wheat and corn, it contains up to 52 percent alcohol. Wuliangye owns the sweet, lasting flavors, tasty and refreshing taste, and harmonious flavors just right. Wuliangye is considered like the second best brand Moutai liquor and its history dates back more than 600 years. it is made by Wuliangye Group Co Ltd.
Luzhou Laojiao is one of the most popular liquors in China. it dates back to 1573 in the Ming Dynasty. There is a strong alcohol content, about 50% is a clear liquid with a strong aroma of fermented peaches. Gujing Tribute Liquor Gujing or Gongjiu occurred in Bozhou, Anhui province. It dates back to 196 AD. For some years, it is used to pay tribute to the imperial family of China’s dynasties. It is very appreciated because of its unique style, clear as crystal, fragrant and refreshing, with a pleasant aftertaste. The Jiannanchun is an alcoholic beverage produced in Mianzhu County, Sichuan Province. the history of this liqueur dates back over 1000 years. Jiannanchun Liquor is a strong and rich flavor, with a pure and sweet, refreshing and persistent taste. Xifengjiu (or Xifeng Liquor), is one of the popular liquors in China. it is produced in Fengxiang County, Shaanxi. its history dates to the Tang Dynasty (618-907). Xifeng Liquor is a refreshing drink, strong but not spicy, harmonious, but not very sour, sweet, bitter, spicy and fragrant taste. This drink is produced in Sihong County, Jiangsu Province. In fact, Shuanggou Daqu Liquor is known at home and abroad for its strong aroma, harmonious fragrance, and sweet taste. Langjiu is named after its city of origin, Erlang in Sichuan province. it is designed based on fresh spring water from the grotto of the dragon and older clay pots. Its history dates back to the Han Dynasty. Fenjiu liquor is a lightly flavored liqueur. Fenjiu the name was already used during the Southern and Northern Dynasties. Fenjiu has a mild, sweet taste and clear and has a mild, sweet taste. It owns 38%, 48% or 53% alcohol, and has a light fragrance. The growing demand for Vintage liquor made two most famous premium brands Baijiu China, Maotai, and Wuliangye, among the most valuable luxury brands. The Institute estimates the value of Maotai brand at $ 12 billion and $ 7 billion Wuliangye. The alcoholic beverages market in China is dominated by large companies such as Anheuser-Busch InBev, Molson Coors Brewing Co., SABMiller plc, Tsingtao Brewery Co.Ltd., and Beijing Yanjing Beer Group Corp. these five companies controlled 57 percent of the total market in 2009. in addition, the five best players in China’s alcohol industry are also the five best players in the category of beer, cider, and FABs. The first five Chinese wine companies are national companies. Dynasty Fine Wines Group Ltd. Yantai Changyu Group Co., Ltd; China Great Wall Wine Co., Ltd, Yantai Weilong Grape Wine Co. Ltd, and Tonghua Grape Wine Co., Ltd. Even if the markets for beer and wine are highly concentrated with the top five players holding market shares of 81 percent and 62 percent, the spirits market in China is more segmented. Indeed, the spirits market is the local market for baijiu, which is mainly produced by local small businesses rather than large international companies. China has identified three types of certification for Eco-labeled food products: Green Food, Organic Food Free dangerous. Green Food and hazardous Free Food are established to Chinese government certification, while organic food is certified to international standards. As the precursor Certified Organic Green Food has the longest history with Chinese consumers and is better known and understood. The white paper about the China quality and food safety said that China has created 28,600 types of harmless agricultural products and has set up 24,600 of safe production standards to date. therefore, the Hazard Analysis Critical Control Point (HACCP) was accepted by 2,675 food producing enterprises of Organic Standard. China nowadays is seen as one of the most rigorous in the world (IFOAM case studies of China). (OFDC),the development center for organic food of China for the (SEPA), State Environmental Protection Administration (SEPA) established in 1994 is the only organic certify in China that has been agreed by the International Federation of Organic Agriculture Movements (IFOAM ) and ISO65 (OFDC SEPA). The China organic sector was to witness significant growth in the last decade. In 2006, China is the second country in the world to possess many hectares of land in organic farming, or 2.3 million hectares, which is about 0.4% of the total agricultural area. This increase is due in part to the increasing availability of organic products and consumer responsibility in organic food materials. The China organic sector was to witness significant growth in the last decade. In 2006, China is the second country in the world to possess many hectares of land in organic farming, or 2.3 million hectares, which is about 0.4% of the total agricultural area. This increase is due in part to the increasing availability of organic products and responsibility of consumers of organic food materials. -the contamination Melamine wheat gluten used in pet food, eggs from hens fed by contaminated foods, dairy products and infant formula. -the product reuse unsold in the previous year to fill the Mooncake. -Malachite Green, a chemical used as a dye, while it was initially conceived as an antiseptic or parasitic treatment for fish (Barboza, June 2007). The demand for Green Food and Organic products are registered in Green-National Geographic Greendex 2009: Consumer Choice and the Environment. -Eating less meat and seafood. -Being more apt to buy environmentally friendly products all the time. -Chinese consumers are among the most likely to be concerned about environmental issues, and also support having a bad environment could have a negative impact on health. -While Chinese consumers rank high on the transport and slightly less on housing and property, their lowest score is food, despite an increase of 9% to 19% in the consumption rate self-increased several times per week foods. -Chinese consumers are among the least able to eat foods imported frequently and are among the largest consumers of local foods, fruits and vegetables. -Chinese consumers are among the largest consumers of fish and seafood and have a bottled water consumption rate than average, the two factors that adversely affect their score. -China has implemented a plastic bag ban in June 2008. However, as the Chinese economy is growing, demand is also expected to increase, due to food security and health problems. so therefore, one can notice that the Organic food products are increasing demands by high-income families, for against low demand among middle-income families. With environmental pollution, which is seen as a real threat to the health and safety of persons, the number of consumers being willing to adopt a bio and organic food as a lifestyle will increase significantly. In the near future, the consumption of organic products will be powered not only by the desire of people to benefit from internal security but also by a growing rejection of products that contribute to destroy the environment. because the potential of organic products is enormous in this rapidly changing market. Setting up a organic brand in China requires to define the relevant brand name to can reach a maximum of consumers. Generating Chinese brand names can enable you to better identify your opportunities in China. It requires market research and system process of data-collection to validate the chosen name. The rapid growing Chinese consumer class certainly has more spending power today. Therefore, they also have less and less time cooking at home. The combination of exhausting work hours, long commutes in heavy traffic, a later marriage age with smaller families, gives to the average Chinese citizens fewer motivations to make their own meals. That situation creates a perfect and ideal recipe for fast food chains. So the fight for China’s growing of fast-food and convenient meals is heating up. China’s food service industry has witnessed double-digit annual growth since 2004. And it’s still only half the size of its U.S. Estimated at $303 billion in 2009, and it reach around $450 billion in 2014. The multinational fast-food chains such as Burger King, McDonald’s and Yum Brands arrived early in China, Mcdonalds has entered in mainland China in 1990. And they’ve come to dominate the market of western fast food services. KFC and Pizza Hut, two brands that are part of the um Brands Group has pushed ahead McDonald’s. In 2013, Yum Brands, which owns KFC and Pizza Hut, opens every day another new restaurant in China. In fact, for the first time ever in 2013, it earned more profits there than in the U.S.A And it soon expects to have a 3 to 1 market share, one lead over McDonald’s, the closest rival. The brand KFC is currently the number one fast food chain in China. The American famous brand did so by offering local tastes with adapted dishes such as rice porridge with pork. Pizza Hut remains China’s number one casual dining chain, an image an image that is lost in the U.S. from decades ago. But McDonald’s is still investing a lot trying to catch up with Yum Group. It took two decades to launch 1,000 restaurants in China, but now expects it needs only four years to double that. in 2013, the company says it plans to “re-image” about 80% of its stores. That will involve European and Australian designs, comfortable chairs, with warmer colors and facilities such as WiFi. McDonald’s is playing catch-up by offering the “McDelivery” service. Chinese like the 24-hour option available in major cities, so McDonald’s is offering another real American experience. The plan is to open drive-through windows at half of its new restaurants in the next coming years. The Chinese fast food chains also represent a Threat to those big American brands, KFC and McDonald’s, the battle for stomach share in China goes beyond fried chicken and Big Macs. The Chinese and Asian fast food chains are becoming more and more competitive, despite their current low market share. This is hardly surprising considering how many opinion polls show how locals are opting for Chinese and Asian food when given the choice. There is indeed, two particular chains that are especially eating up that penchant. The Asian Style Cooking Restaurant was just recently added to the New York Stock Exchange. Indeed, it has over 100 locations in the Chongqing municipality and Sichuan Province. There’s also the following brand Little Sheep Group, which Yum Brands partially owns. It currently has over 300 restaurants in China, Japan and the U.S. Their appearance on the scene, along with other Asian restaurant chains, prove that the Chinese market is about more than just convenient. Xia Lianyue, the vice-chairman of the China Fast Food Association, says rising urban salaries and long commutes are driving the all-new “simple meal” market. That market averages 50-100 RMB, or about $7.50 to $15.00 per meal per person, a cut above fast food at 30 RMB or $4.50. Yum Brands seems well positioned in this segment with Pizza Hut. But local competitors could still eat into its market share. Average daily leisure time in China is 2.55 hours, which is more than three years ago (2.16 hours) according to CCTV’s latest research on China economic life. One third of Chinese leisure time is spent on the internet, especially on mobile phones in China. The research also shows those high-income groups are those who have more leisure time in China in 2015. With mobile internet boom in China. Baidu mobile search revenue surpassed that of desktop computers in Dec 2014. And, Weibo mobile ad revenues now make up more than half of Weibo’s total ad revenues in 2014 according to Weibo’s financial results. People whose annual income are between RMB50,000 and 60,000 have less than 160 minutes for leisure per day while those whose over RMB210,000 have 180 to 190 minutes leisure time in China in 2015.Though the leisure time is increasing in China, the number is still half of the one in developed countries like Germany, and the U.S. One third leisure time is spent on the internet and one-third on television, one-tenth on reading. Besides, the research points out that among low-income group whose income are below RMB20,000, 12.01% of them do not have any leisure time. Only 5.87% of Chinese people whose income are over RMB100,000 have no leisure time in 2015. Along with economic development and social evolution on both developed and developing countries, leisure activities have become more important and diverse than ever. In today’s china leisure, sports and pastimes are enjoyed every day all around china. The Chinese people now have more free time than ever before, because technology is beginning to do their work. Also Chinese people like to spend their free time outdoors as much as possible. Parents will take their children outside to sai tai yang (“soak in some sun”). Even board games which could also be played inside are often played at the park are filled eith people from dawn until dusk engaging in chinese dress , mazhang, kite fluing, tai chi and public dancing. The type of leisure activities the Chinese take depends on how rich or where they live. City residents spend their spare time by learning, such as doing martial arts or performing arts. People who live in the countryside tend to do things more relaxing, but old fashioned. They like to find ways to have fun. Others who can afford a TV set will watch it a lot. Below you’ll find some of the most popular Chinese sports and leisure activities. When you see someone practicing one of these, consider asking if you could join in. Chances are they would be happy to share their culture and traditions with you. Jianzi stands for Chinese Hacky Sack. During this game, players keep the hacky sack or shuttlecock off the ground using their feet and other body parts, but not their hands. The hacky sack is constructed out of a rubber sole or plastic disk with feathers attached to it. In a formal setting, participants will play on a volleyball or badminton court. In the park, however, people will usually just gather around the jianzi. You may have already seen tai chi being practiced in public parks in your home country. This Chinese sport has two main purposes: to develop good defense skills through building muscle strength and flexibility, and to relax the body and reduce stress. The slow movements of tai chi are grounded in the belief that incoming force should be met with softness, instead of resistance or fighting. It is a gentle way to fight stress and creates a relaxing, meditational atmosphere. It is also commonly offered in hospitals, clinics, and senior centers. This is a traditional toy made out of wood and steel. The toy has a steel ball attached to the bottom which spins on the ground. To begin, a string attached to a stick is looped around the top of the tuo luo several times. The toy is then placed on the ground. The player holds on to the stick and pulls the string quickly to make the top start spinning. Then he or she whips the top with the string to keep it spinning fast for as long as possible. Sometimes, you may see the ancient art of calligraphy being practiced in a public park. Painters draw traditional Chinese characters using a long brush pen soaked in black ink or water. Sometimes outdoor calligraphy contests will be organized. This is a strategic board game commonly played by elderly Chinese. While also played at home, people will often gather in the park to play. The game may seem confusing at first and it helps to have a good memory. In the end, however, luck often proves more important than skill. Some view the game critically as it can be addictive and some players bet money on it. Others just treat it as light entertainment and an opportunity to socialize with friends. Kite flying is a traditional Chinese pastime that was declared an official sport in 1991. Regular kite-flying competitions are held in several cities across China. On 20–25 April each year, the annual Weifang International Kite Festival is held in this “Kite City” in Shandong Province. Tens of thousands of participants come from China and abroad to compete with their beautiful and colorful kites in all imaginable shapes and sizes. The top two Chinese sports are ping pong and badminton. The country regularly takes home the gold in these two sports during the Olympic Games. Both of these sports are also played casually in the park or in local or national competitions. Casual badminton players have no problem playing outside, but more serious players prefer to play inside to avoid possible disruptions by the wind. A game similar to soccer was first recorded in China during the Han Dynasty. Called cuju (“kick ball”), it was played by both men and women with a leather ball filled with hair and other soft materials. It was used as a form of military training and as a pastime to keep the soldiers’ morale high. Today, playing soccer is a popular Chinese sport, although the country is not competitive on an international level. The devastation of ” Airpocalypse ” continues in China. And figures have enough to turn the head: the air pollution due to the fine particles PM2,5 (those of a diameter lower than 2,5 micrometers, which nest profoundly in lungs) kills 1,6 million people every year in the Middle Kingdom, that is more than 4 000 a day, what represents 1 premature dead man on 6 in the country. It is the conclusions of a led study by the Californian university of Berkeley (United States), that must be published in the scientific journal PLoS ONE next week. This study is not the first one to reveal the area of the misdeeds of the Chinese smog. In 2012, an article published in the British medical magazine(review) The Lancet had already calculated that 1,2 million people would die prematurely because of the atmospheric pollution in the country. This time, the searches for the Californian university used the recent data of surveillance(supervision) of the air quality supplied by the Chinese authorities. Click here to know more about the China market. American scientists analyzed four months of real time data, raised(found) every hour in 1 500 measurement stations distributed in the country. Four pollutants are measured: the fine particles, the sulfur dioxide, the nitrogen dioxide and the ozone. They then used a model of the World Health Organization (WHO) to translate these levels of pollution into mortality rate. The latter is bound(connected) to five diseases: the intellectual vascular accidents, the coronary diseases, the lung cancers, the obstructive chronic broncho-pneumopathies and the infections of the lower respiratory tracts. As a result: between April 5th and August 5th, 2014, 92 % of the population had undergone an “unhealthy” air (according to the American standards) during at least 120 hours, and 38 % had been displayed(exposed) to it on all the four months. Over this period, the average exhibition(exposure) of the Chinese in the PM2,5 was 52 micrograms per cubic meter of air ( µg / m3 ), while the WHO plans maximal values of 10 µg / m3 on average annual. The pollution is a plague for the whole China. Because if the main affected regions are situated east of the country (essentially the corridor between Beijing, in the northeast, and Shanghai in the southeast), the center is not saved because of the traffic of atmospheric pollutants. Is from the country, in particular the large cities, is responsible for the majority of emissions. What are the main cause? The pollution of vehicles first of all, which reject some nitrogen dioxide and fine particles (for the diesel engines). But especially, the heating during winter, and construction and industry, which(who) work largely in the coal. China pulls(fires) 64 % of its energy of this ore, the most polluting fuels, what makes it the first world transmitter(issuer) of greenhouse gas. Committed in a ” war against the pollution “, her however planned the stop(ruling) of hundred coal-based power plants by 2017, for the benefit of the gas and the renewable energies. On October 29, 2015, the Fifth Plenary Session of the 18th Central Committee of the Communist Party of China introduced the Second Child policy. Chinese couples can now have two children. This is the biggest change in family planning laws since 2013, where the Chinese government decided to launch a selective two-child policy. There are several reasons for the new Second Child policy: China’s aging population problem; low fertility rates; and the need for economic growth. The problem with the Chinese population structure is becoming increasingly prominent. Workforce shortage is a consequence of the low fertility rate, a direct outcome of the Family Planning Policy as it restricted couples to having only one child. The 2000 internationally recognized global fertility rate was 2.1. However, the fifth population census showed that China’s fertility rate was just at 1.22 in the same year, meaning that, on average, each couple had 1.22 children. The 2010 census showed that the figure fell to 1.18 children per couple in China. However, provinces such as Liaoning, Jilin, Heilongjiang scored a fertility rate of only 0.74, 0.76, and 0.75 respectively. According to recent data, the working-age population in China began decreasing in 2012, showing a drop of 3.45 million people from 2011. From 2023, it is expected China will experience an average annual decrease in its working-age population of about 8 million people. According to the United Nations, China will have nearly 500 million people above the age of 60, click here to see the video; a number expected to exceed the entire population of the United States. Although China’s aging population problem occurred later than other countries like Japan and countries across Europe, the issue inflated most rapidly in recent years. Life expectancy in China is also increasing, but coupled with low fertility rates due to China’s one-child policy, results in a number of foreseeable issues. China’s population is so large that the aging population issue is expected to become the most serious aging population “crisis” in the world. By the end of 2015, Chinese people over the age of 60 accounted for 15.5% of the total population. It is predicted that by 2050, the global aging population will reach 2.02 billion people. Of this, China will account for 480 million of those people, making up almost a quarter of the total global aging population. A Real Impact on the Birth Rate? The final outcome of the selective two-child policy did not reach its expected result. In January 2014, all provinces launched a policy that allowed parents who were only children themselves to have another baby. China currently has 11 million families that satisfy these requirements. The outcomes of these families with two children will be realized in the next four to five years. “Four or five years later, the fertility will restore [back to] normal like before,” argues Jiehua Lu, sociology professor at Beijing University. However, by the end of May 2015, 1.45 million couples across the country applied to have two children, more than 1.39 million of them formalities. By the end of 2014, 1.069 million couples had applied to have two children. This, however, was not reflected in actual births as the new birth population in 2014 only increased by 470,000 on top of the 2013 figure. These changes in government policy bring with them significant commercial opportunities in the baby products and baby food industries, as well as in the pensioner market. When the new two-child policy was published，some jokes appeared online, such as: “I heard that China now allows couples to have two children! The cows in Germany, Britain, Australia, Holland and New Zealand will be exhausted!” This could be connected with a previously published article addressing the baby food market in China that outlines the demand for foreign baby food products, and some discussions about pension trends in China. The global smartphone market has extraordinarily increased in the past ten years, with shipments rising by 40% in 2013. Statistics show that the number of smartphone users in China has more than tripled from the beginning of 2011 to the end of 2014. Recently, China has reached 520 million active smartphone users, almost half of all mobile phone users in the country. Furthermore, some researches forecast 704 million active smartphone users for 2018. This graph shows a comparison between the Chinese and American mobile phone markets. It is clear that China is already one of the most important markets in the world, and will continue to be so for the foreseeable future. While a few platforms are competing for market share, Android is the leader with 85% of devices sold by July 2014. Apple smartphones trail behind with only 12% of the market. Reinforcing the previous data, Samsung smartphones, using the Android platform, were the most sold at the beginning of 2014, followed by Lenovo and Xiaomi, also carrying the Android platform. Nevertheless, Xiaomi took the lead, and edged out Samsung as China’s top smartphone vendor at the end of 2014. 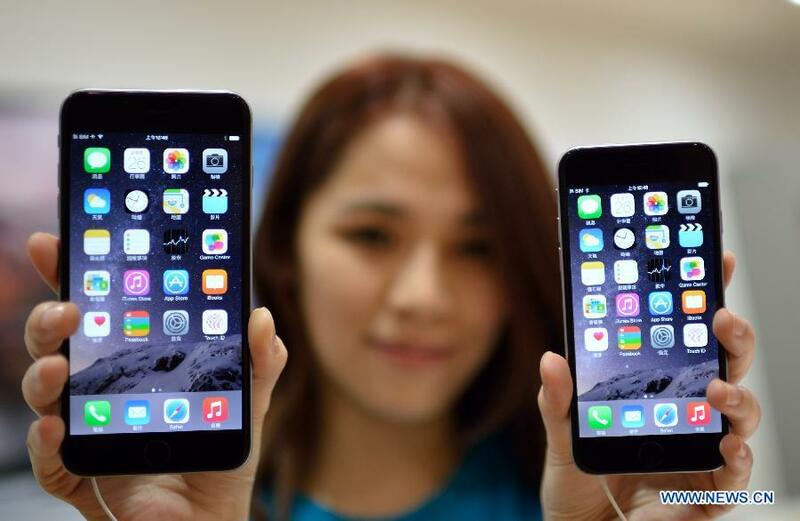 In January 2015, Apple also overtook Samsung thanks to the success of the iPhone 6 and 6 Plus. To be more precise, the most popular android phones in China are the Xiaomi MI3 and MI2, iphone6 and 6 Plus, and the Samsung GT and SM. This data shows that the smartphone market in China is mainly led by Asian brands, especially the new Chinese brand Xiaomi, created in 2010, which challenges Samsung’s supremacy. Xiaomi’s success is due to online flash sales and its low price of only $310 for the Xiaomi MI-2, compared to the $700 for the iPhone 5 and $660 for the Samsung Galaxy S3. The Chinese brand tries to focus on young people who cannot afford a smartphone. To keep costs low, Xiaomi is only selling its devices online. The Chinese smartphone market benefits from their home market. China counts more than one half of billion smartphone users, meaning that China has more smartphone users than the USA has people. But what is the profile of these users? In 2014, smartphones were more popular with male users at 54%, but an equal distribution is forecasted for 2018. In 2014, the majority of smartphone users were the bracket of 18-24 year-olds and 25-34 year-olds. However, in 2018, the bracket of 35-44 year-olds will multiply by 1.6, reducing the former gap between brackets. Chinese smartphone owners use smartphones not only to phone, but also to surf the web. The following graph shows that 72% of internet users use their smartphones instead of using their computers. They also use Smartphones to shop online, play games, and talk with their friends. Since the rise of the smartphone, mobile gaming has become a big industry in China. It’s important to know what do Chinese people have and what do they want to have. China has become the world’s most important smartphone market because of the opening of China to capitalism. The opening of the Chinese market to foreign brands, and the emergence of a middle class are the two fundamentals that permit such a big market. Because of the immensity of the country, internet and smartphone penetrations depend on location. What is the use of having a great smartphone if your mobile network is not able to provide you with a high-speed internet connection? In this graph, China’s mobile coverage is shown in blue. It can be seen that even for the first Chinese carrier, China Mobile, the entire country is not totally covered yet. Whereas 5G is going to be deployed and ready in South Korea, 4G coverage has just begun in China. However, even if the deployment is slow, Chinese carriers, helped by the central government, do plan to cover the whole country. Some Chinese people never had their own computer; therefore it’s very important for them to have smartphones with Internet access. Furthermore, these people get low salaries, hence a big potential for the low-cost market. With great coverage and low prices, it is inevitable that more and more Chinese are going to buy smartphones. Another important feature of the smartphone market in China is that Chinese people favor a large screen for their smartphone such as the Mi Note. For instance, the idea of a new kind of phones called phablets (smartphone/tablet hybrid) appeals a lot of Chinese people: 65% of those planning to buy a new smartphone in China want a phablet. Given that China’s smartphone market has already been rising for several years, we can expect this rise to endure. Because of the huge population and the tendency to follow western trends, Chinese people will continue to buy more smartphones. Foreign manufacturers need to be compatible with the Chinese demand. Chinese users are expecting low-cost products but with high performances. Daxue Research is a leading market research firm in China, with offices in Beijing, Shanghai, Hong Kong, and North America. Daxue Research provides world class business development and marketing services MNCs and SMEs, led by a team of international experienced and educated professionals (MBAs, CPAs, consulting CFAs, and PhDs) from around the world. Daxue Research provides business strategy services for market entry into China, and can provide customised business plans to entrepreneurs, regional managers, and large multinational corporations. KPMG is a global consulting firm mainly specialising in accounting services, with 16 offices around China. KPMG also provides business development and marketing services to client businesses wishing to enter the Chinese market. Maverick China Research provides Business-to-Business market research and market entry consulting services to clients wishing to either further develop their business operations in China or enter the Chinese market through investment or business expansion. Market China Research provides services to SME’s and large international businesses from their office in Beijing. CMR’s office in Shanghai provides market research reports, and develops strategic recommendations for their clients’ business queries in growing their operations in Chinese markets. CTR is a joint venture company between CITVC and Kantar Group, a large market research, insight and consultancy company. CTR Market Research China has offices in Beijing, Shanghai, Guangzhou, Fuzhou, and Hong Kong that provide market research and marketing information to client businesses. Force Research has offices in Beijing and Shanghai, providing market research and consulting services across multiple markets in China. Force Research creates reports on various target markets and takes pride in the qualitative research and other research practices they conduct for clients. CBC Marketing Research is a Swiss-owned market research company based in Switzerland with three offices in China (Beijing, Shanghai, and Guangzhou), providing market research services to all sizes of businesses. SXL Group has offices in Shanghai, Hong Kong, and Sweden. SXL Group employees students in order to lower costs to client companies, and provides market research, market entry, as well as services in sales campaigns and marketing. Research conducted by the iResearch Consulting Group focuses on the internet industry in China (including online media, e-commerce, online games, mobile internet and wireless value-added services, etc.). iResearch Consulting Group has offices in Beijing, Shanghai, and Guangzhou which aim aim is to improve their clients’ understanding of China’s Internet industry.